Atlantic Bearings Ltd is a family run business who specialize in the sale of bearings Harrogate and power transmission products to industry and the general public. 1. 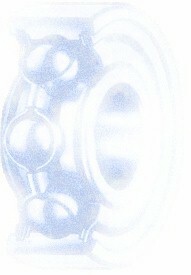 Vast stocks of all types of BEARINGS and POWER TRANSMISSION products. If we don't have it on the shelf, we'll get it for you. 2. Free same day delivery (for stock items) to most Locations in and around LEEDS (West Yorkshire) and RIPON (North Yorkshire) where we are based. For customers outside this area but still within the U.K., we can guarantee next day delivery on all stock items (A DELIVERY CHARGE MAY APPLY FOR CUSTOMERS OUTSIDE THE LEEDS AND RIPON AREAS). 3. Our products are of the best quality whilst our prices are among the most competitive around - check us out, we're worth a look! 4. Our customer service is second to none. Friendly and helpful, if you have a BEARING or POWER TRANSMISSION problem, we will heLp you find the solution, free of charge and without obligation. WHATEVER YOU NEED FOR YOUR BEARING AND POWER TRANSMISSION SOLUTIONS, WE HAVE IT!